With the average human lifespan steadily increasing by generation there is going to be less animals outliving humans as time goes on. There have been numerous reports of cats living into their thirties, ants living for 15 years, elephants reaching 70 years of age but most of the time these are extreme cases and don’t reflect the average lifespan of the animals. With the average human lifespan said to now be between 70 – 80, we have collected 8 creatures that have an average lifespan much higher than humans. 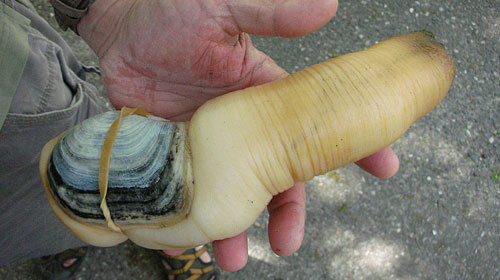 Geoduck clams are a large variety of saltwater clams that have a large protruding ‘neck’. The Geoduck Clams are number eight on this list as they are known to live for atleast 150 years however it is thought that they can probably live for a lot longer. These massive clams are a popular food source although you may not come across many out in the wild as they are native to the puget sound in Washington. 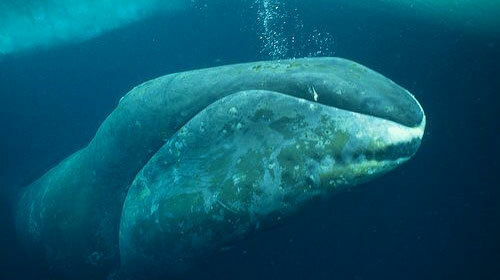 The Bowhead Whale is thought to hold the record for longest lifespan of any mammal on this planet. Although the age of the Bowhead Whale can varies it is believed that the average lifespan is around 160 years with the shorter lifespans variants still outliving humans. There have been multiple cases of Bowhead Whales being found with harpoon spears still lodged in them that are over 200 years old which gives rise to the idea that Bowhead whales may in some cases easily exceed a lifespan of 200 years. The Tuatara have a similar lifespan to that of the Bowhead Whale with some members of the species living anywhere between 100 – 200 years. 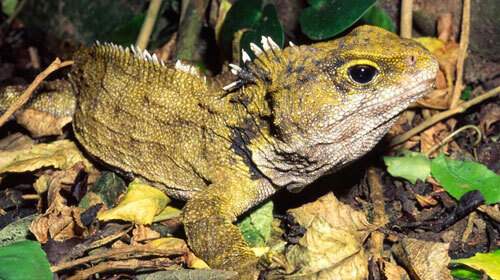 The Tuatara are one of the longest living vertebrates and vastly outlive similar species. It seems fitting that these ancient Tuatara have such a long lifespan and are quite literally living dinosaurs due to their dinosaur ancestry. 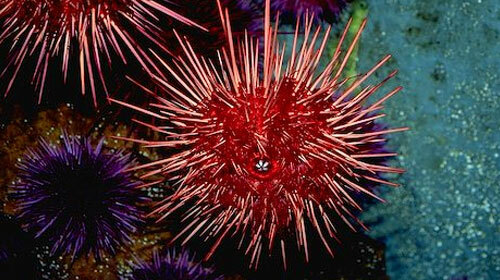 The Red Sea Urchin’s are native to the Pacific Ocean and are found along the Pacific coast of North America. They may not look like much but these Sea Urchins that can be found in the coastal shallows can actually live up to around 200 years – more than double that of a human! 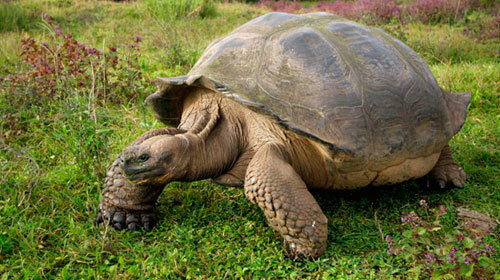 The Galapagos Tortoise is probably the best known creature on this list that has a very long lifespan. Its not uncommon for slow moving creatures like turtles and tortoise’s to boast a long lifespan compared to that of a human and the Galapagos Tortoise has been recorded to have reached ages of over 200 years. Tortoise’s are considered the longest living vertebrate species on the plant with the record in captivity current being held at 250 years. The Colpophyllia natans is a type of coral. When most people think about the oceans different species of coral it drums up a picture of a vast colorful landscape however these are coral reefs and do not represent one individual coral polyp but rather a colony which explains why the exist in one places for hundreds and thousnads of years. 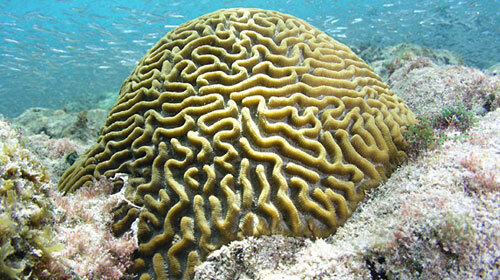 With these colonies the most individual corl polyp’s die off and are replaced by new ones, however some coral polyp’s like the Colpophyllia natans has been known to live for over 400 years as an individual – this is though to occar as the Colpophyllia natans is technically a ‘brain’ coral often living at the center of a reef or colony. This may look more like a plant and indeed certainly outwardly appears as a plant through its physical looks and its behavior, however the Antarctic Sponge is actually a living creature and one with a massive lifespan. 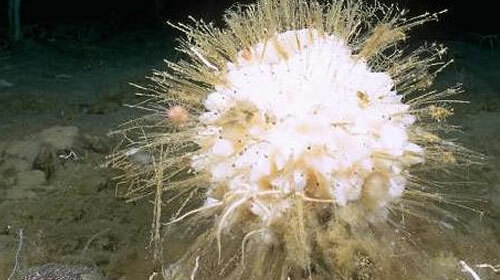 The Antarctic Sponge spends its life immobile, bogging up and down in the ocean. This behavior, lack of exertion and extremely slow growth, probably has a lot to do with its long lifespan as they have been known to reach over 1500 years of age. 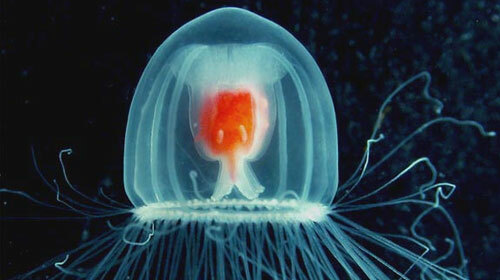 In at number one we have the exceptionally small but incredibly intriguing jellyfish, the Turritopsis nutricula. This fascinatingly unique jellyfish does not have the longest lifespan in a traditional sense however it possess a very unique ability. When the Turritopsis nutricula reaches a mature adult stage it is actually able to revert back to the polyp stage (the first form of a jellyfish), essentially making this tiny jellyfish (about the size of your fingernail) immortal, in a sense. Its unfathomable how our Creator has fashioned these creatures! 2 By this, people of old obtained approval. that what is visible was made from what is invisible. been created through him, and for him. This is a nature website, not a religous one. Sure he can say what he wants, but what does it have to do with the article? Those scriptures don’t prove anything. They’re written by people thousands of years ago who pretty much knew nothing at all about their world except the middle east, part of europe and part of africa. Wow, I wanna be a Turritopsis nutricula! can a creature live 1500 years, or can be immortal? Nah, they can’t be immortal, ’cause animals just can’t live forever. Thats how God created them. By theory, the Turritopsis nutricula CAN live forever, if the conditions are right (or wrong in it’s case) and it needs to revert back. If it’s happy, then it has no reason, so it just lives out it’s life and dies. It’s like when the seeds of trees postpone sprouting when the conditions are not right. 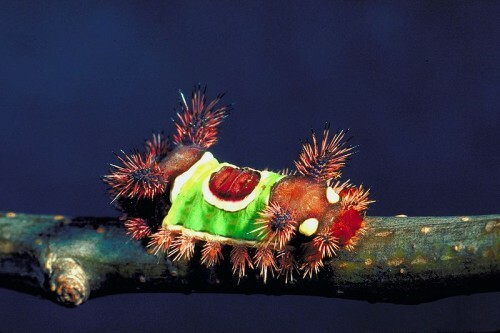 A seed, depending on it’s species, can live for a long time in a ‘hibernation’ state. In fact, seeds do not sprout unless it senses the conditions are correct for it to have a good chance of survival/reproduction. 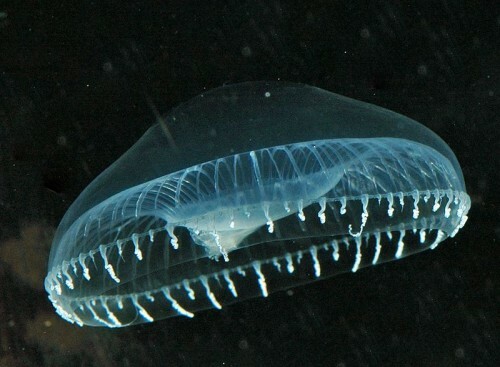 A jellyfish is not like a mammal, like a human, therefore you can’t assume it lives like one. You should open your mind more before you become another ignorant, bible-thumping Christian who really knows absolutely nothing outside of what a book says, because we have enough of those. Besides, who said God didn’t create an animal (a simple animal by the way) who could live forever? There’s nothing in the bible that says he didn’t. The people who wrote it barely knew anything about animals, and especially nothing about this jellyfish. Well, logic won’t solve everything. According to scientists, spontaneous generation cannot exist. if that is so, how did we come about? 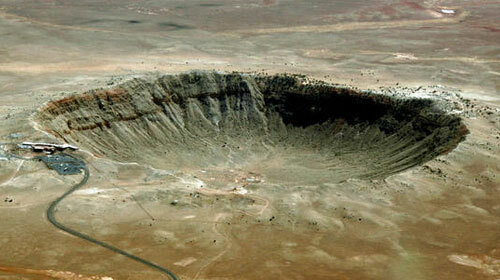 Are you going to put science at risk and say, “It just happened!”? Science cannot explain everything, face it. Evolution is stupid, the flagella has already proved it wrong. And please refrain from going about insulting christians. Not all of them run around saying stupid things, actually, most of them don’t. Turritopsis nutricula has a very long life span. But it is not true that they are immortal. Actually, The Turritopsis is a real creature. Currently they are doing work to see if they can adapt its regenerative process called differentiation into a way for humans to grow new organs and repair damages. Technically it isn’t immortal, as the aging backwards part only kicks in on some of the population and usually only for specific problems (lack of food, physical trauma) but in theory these jellyfish could live forever. there is no way that humans would of studied them for 1500yrs how do we really know? Are you serious?? or do you really have no clue? You don’t need to murder something to get it’s DNA. anything on your body has your DNA. I could get your hairbrush, get a hair and get your DNA. Duh. It involves things called ‘math’ and ‘research’ and ‘experiments’. I’d explain it to you, but it would take to long to explain, and I doubt you’d understand, so just go do some research on your own. Yeah, nothing can live forever exept the trinity: God, Jesus and the Holy Ghost. God is not technically ‘alive’, so he can’t live forever. To live means you have a physical body. He doesn’t have a physical body, ergo he can’t be alive. And even Jesus DIED. Besides, according to your bible, nobody ‘dies’ because everybody’s soul goes on (whether it goes). God is spirit, so yeah, technically he is not alive. But Jesus died physically and came back, meaning that he is alive and not dead, living up there in heaven. Btw, God is living forever. Or how did our universe come about? That can’t be chance. GO FIGURE I didn’t even know there was an animal that could live for 500 years!